On one day in 1973, three American astronauts on board the Skylab space-station closed their radio link with NASA ground stations and took time off to chill. On December 28, the Government of India okayed India’s first human spaceflight programme at a cost of Rs 9,023 crore. The programme will attempt to launch three Indian astronauts to low-Earth orbit for as many as seven days. If the mission – slated to happen in 2022 – succeeds, India will become only the fourth country in the world able to launch astronauts into space. It is not yet clear what the astronauts will do in space. The Indian Space Research Organisation (ISRO), which is leading the programme, has said they will perform some science experiments on their first flight but nothing of what comes after. But there’s no doubt that there are a lot of possibilities, and that astronauts – Indian and otherwise – have lots left to do in the coming decades. They’re crucial in everything from extraterrestrial mining to Mars missions, space diplomacy to weaponisation,. In this sense, it is important for space organisations to maintain a keen awareness of their spacefarers’ fitness. Humans aren’t naturally equipped to deal with the alien nature of space, to live in confined quarters with zero gravity, no horizon in sight and with limited resources. If they have coping issues up there, things can get rapidly and profoundly disastrous for all involved. NASA experienced one of the first such incidents (although there haven’t been many) 45 years ago. On one day in 1973, the three American astronauts on board the Skylab space-station closed their radio link with NASA ground stations and took time off to chill. 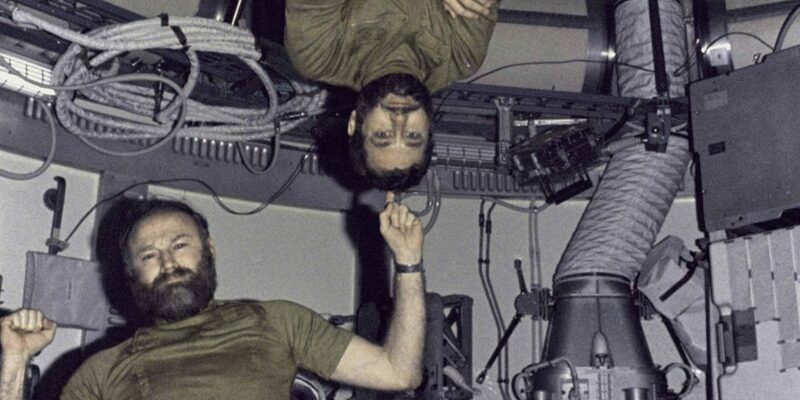 The Skylab was a space-station owned by the US and operated by NASA. Skylab 4 was the last mission on it. It began on November 16, 1973, with astronauts Gerald Carr, Edward Gibson and William Pogue. At the time of launch, the trio was told that their mission would last at least 60 days – a record at the time. It eventually lasted 84 days. The two previous crews that had been on Skylab had completed a large amount of work – “150% of their science goals”, according to one telling. This gave NASA the impression that pushing the astronauts to do more was okay, even though the commanders of the two previous manned Skylab missions advised against it. And because Carr, Gibson and Pogue would be the last astronauts onboard the experimental space-station, NASA also wanted to make sure they’d also finish all other pending experiments. Not surprisingly, as the days wore on, Carr, Gibson and Pogue – all of them on their first spacefaring mission – fell more and more behind schedule. At the same time, ground control kept pushing them to work harder. We need more time to rest. We need a schedule that is not so packed. We don’t want to exercise after a meal. We need to get things under control. Ground control didn’t relent. So Carr turned off the comms link and kicked back to the view with his fellow travellers. It was humanity’s first labour strike in space. And as such revolutions go, it was very successful, too. When Carr and co. came back online, NASA accepted most of their demands. There would be no more 16-hour shifts and all work would be stopped by 8 pm. The organisation also agreed to stop using minute-by-minute deadlines, switching instead to a daily task-list that let the crew figure its own schedule out, gave the crew full breaks for meals and stopped eavesdropping on them. As Loomis writes, things were smooth as a whistle after this episode. 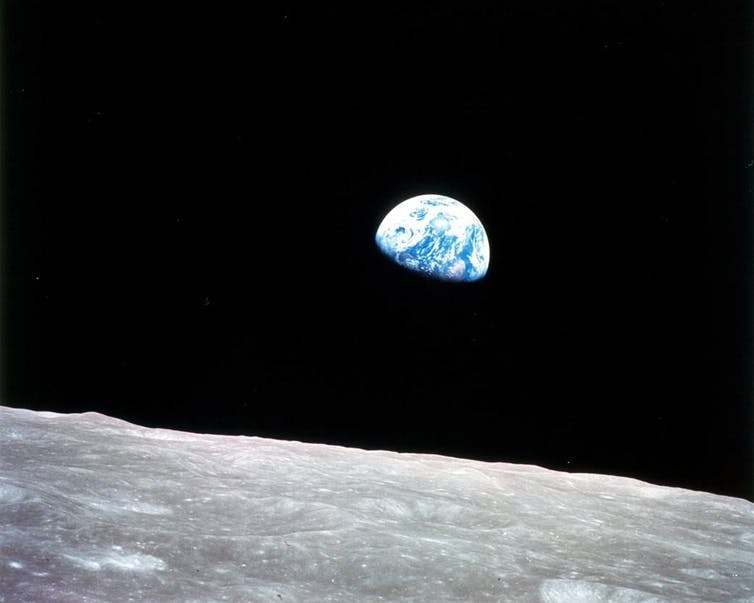 The biggest takeaway for NASA was that, in space, it wasn’t in control – its astronauts were. It didn’t matter what its scientists had planned on Earth. When the astronauts were in orbit, they would get the final say on what and what not to do. But because space is such an expensive affair, this relationship couldn’t be left open-ended for mission controllers to deal with on an ad hoc basis. They have since paid careful attention to the mental makeup of flight candidates, the crew module in which they will make their trip, and how ground control gets along with them. These issues come further to the fore as the mission duration lengthens, and astronauts become more susceptible to being disoriented by the extreme temperature, unusual passage of time and asthenia – the “dysphoric” sense of “oppression” arising from a highly “regimented” and tightly enforced routine (source). The debut flight of the Indian human spaceflight programme is expected to last for a week. This may not be a long time relative to those undertaken on the International Space Station, but weighed by the scale of the infrastructure involved, it can still be a gruelling time. The crew module to be used for the programme had the same external characteristics as the module ISRO tested in December 2014. That means the chamber housing the astronauts will be 2.7 m tall and 3.1 m wide. ISRO has announced two uncrewed and one crewed flights, and that the latter will carry three astronauts to space for no more than seven days. Also read: Say ISRO Sends an Indian to Space on an Indian Rocket. What Happens After? Although we don’t know how the chamber will look on the inside, we do know it will be divided into two parts: one for the crew to live in and the other fit with equipment to help the crew live. The latter includes food and water supplies, waste management, and temperature control systems. Given the extremely spartan lifestyle implied by these specs, it is no surprise that potential spacefaring candidates are typically selected from the air force, although ISRO has said it will cast a wider net. Members of the armed forces are in general more familiar with harsh environments. Other astronauts have noted that such exposure is useful to build the psychological fortitude required to withstand the rigours of living in space. For India, an astronauts’ training facility is being set up near Bengaluru for future missions. For the first one, however, they will be trained by the Institute of Aviation Medicine, Bengaluru, together with a foreign space organisation. Since the first crewed flight is expected to happen sometime in 2022, it will be interesting to see how this training schedule evolves and the processes through which India’s second, third and fourth astronauts are qualified to make history. With thanks to Jahnavi Sen.